area will be open and hayrides will be moving around the farm. The Apple Olympics will test your skills in everything from apple stacking to apple tossing. The market will be full of several different varieties of apples and plenty of apple cider for drinking. Hinton’s Kitchen will be serving up plenty of good things to eat including Durham Beef hamburger, Orchard BBQ, our famous apple dumplins and caramel apple ice cream. Admission is $5 and includes the hayride, corn maze and play area as well as participation in the Apple Olympics. Children 2 and under are admitted free of charge. The market and play area will be open 9 a.m. – 6 p.m. on Saturday. Hayrides will run from 11 a.m. to 3 p.m. In addition to all of the apple fun, Hinton’s still has plenty of other produce in the market. You will find tomatoes, squash, eggplant and peppers as well as a great selection of watermelon and cantaloupes. This weekend will be the last sweet corn of the season so don’t miss out! 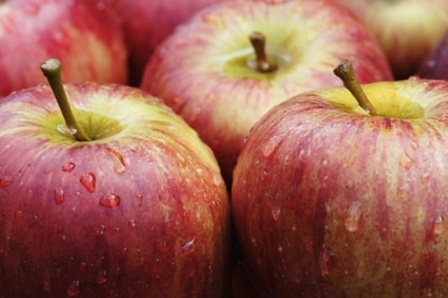 Make plans to visit this Saturday, September 14th for Hinton’s Orchard’s Apple Festival. Kick off the fall season with us!